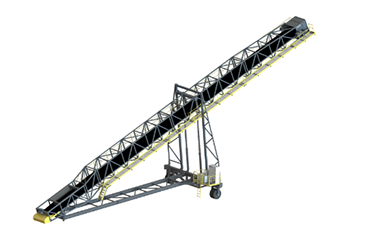 HS300 Movable Stacker can be used in ports, power plants, stock yards and mines for primary or secondary conveying purposes. Stacker is designed according to Eurocode. 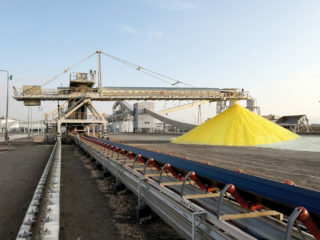 Hydraulic luffing gives the possibility to adjust the discharge height of the material. This reduces dust. 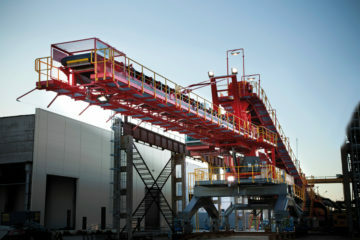 Movable Stacker can be easily relocated to another position depending on the current need. Towing point for front end loader is arranged in the tail end section. Also discharge height can be changed with hydraulic cylinders. 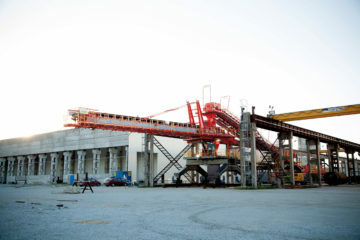 Due to its modular structure the Movable Stacker can be quickly assembled at site. It comes in pre-assembled modules that include all the required parts ready in place. Modules are packed in standard containers which also protect the equipment before installation and allow easy transportation to site.